The heel supports can be placed on top of each other to achieve the desired heel rise (three heel supports equal 22º of heel raise; two heel supports equal 16º of heel raise; one heel support equals 10º of heel raise). 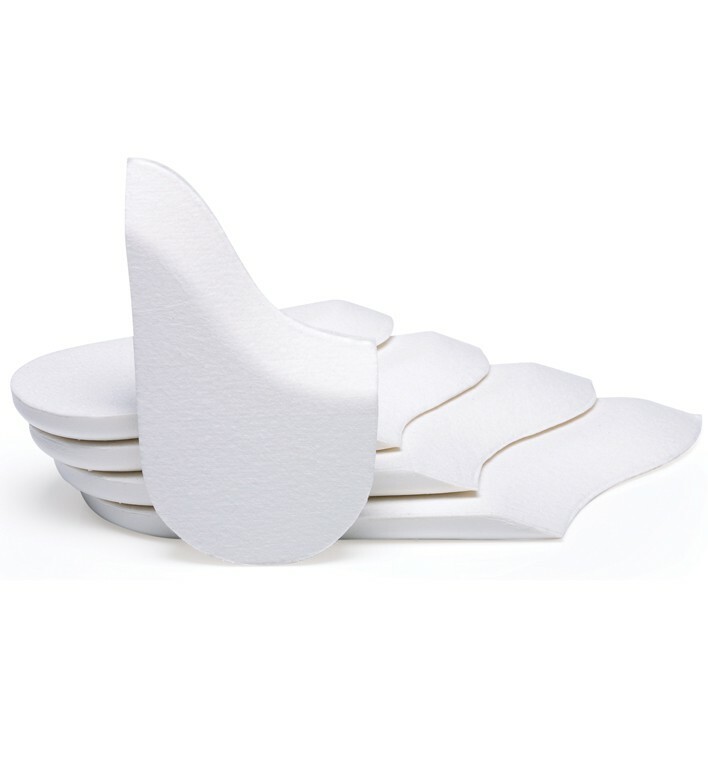 When ordering, specify whether the Heel wedges will be used for the left or right foot, and the size of the brace. For Small, Medium, and Large walking brace, order the standard Heel Wedges. For XLarge walking braces, order the XL Heel Wedges. I am post achilles rupture repair. It has 5 wedges for my boot size the doctor was only going to use three but to maintain the flex I have been in I needed all 5, why is there only 3 for the XL and 5 for all the others? Next should the knee with the cast be bent or elevated with the boot on? I am partial weight bearing with crutches what is the best way to navigate stairs with the boot with the bent knee? I would suggest that you see your medical professional if you need gait training with the boot on and allowed to have partial weight bearing. The boot does not effect your knee so you can either bend it or keep it straight depending on your comfort level. I unfortunately do not have a reason why there are only 3 wedges in the XL but I will be seeking this information from the product manager. I have the air cast boot and my heel pain hurts when I walk in it. Does anyone know if these would help with that? Thanks! how do i clean my wedges? To wash the Aircast Heel Wedge you can take a wet cloth and wipe it clean with a little bit of mild soap, then let them air dry. Hi, I think the question is not really complete answered. - the small one in the top ?? When it's time to remove a wedge, do you start with the top wedge and work down, or does it matter? You can replace any wedge, they are all the same thickness.